Includes costume and competition fees. Auditions will be held Thursday, August 31 from 6:00 - 8:00PM. Students should be prepared to demonstrate ballet, modern/contemporary and jazz skills. They will be notified of their placement before the first class. This year, group dances will be attending one competition . Hall of Fame (March 9-11) in Walled Lake. Should Competition Jazz Production reach at least 15 students, the class will be discounted $100. This discount is taken off your second-half tuition. 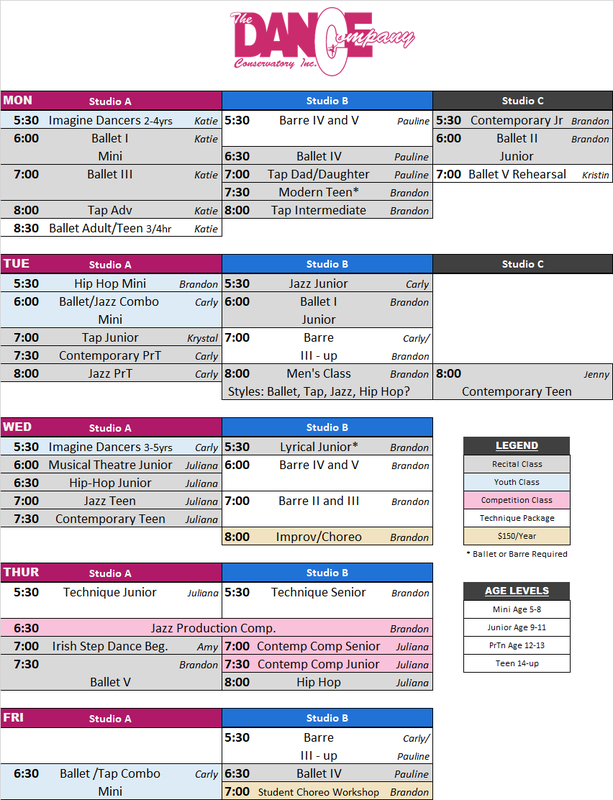 All competition students will be required to attend either Nuvo (2-day convention, see Nuvo site for pricing) -or- The Dance Company Winter Intensive (3-day $75) -or- another dance intensive (subject to teacher approval). All competition students are required to take both: Senior or Junior Technique on Thursdays at 5:30PM, as well as 1 hour of ballet class or barre. Students who miss more than 3 rehearsals are subject to removal from the team. Thursday, March 8 is DRESS REHEARSAL. Full hair and costumes. This day is absolutely mandatory. Dancers need to arrive at least 3 hours prior to scheduled performance with hair and make-up READY.